To help keep your metabolism functioning properly, you need enough water to help transport vitamins and nutrients to cells and tissue in your body. Research published in the journal Nutrition Reviews reported that water itself is a nutrient, and adequate fluid intake is essential for the health of your body. The website MedlinePlus published information on the effect of water intake and energy levels. The researchers reported that consuming enough fluids help maintain electrolyte balance in your body. This is essential for your body’s blood chemistry and muscle actions. 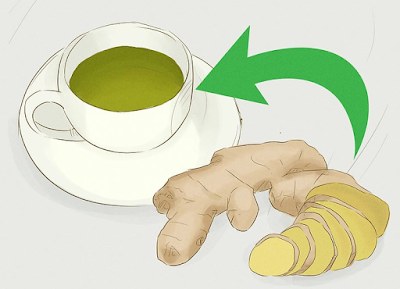 Ginger boosts your metabolism and help you feel fuller. A study published in Metabolism in 2012 found that ginger has a thermogenic effect by enhancing the thermic effect of food as well as promoting feelings of satiety. One study into pectin fiber in lemon found that it helps to keep you feeling fuller for longer. Another study from Japan found that lemon contains enzymes that can help the liver to function more effectively. The study found that these enzymes suppressed weight gain and reduced fat accumulation. We’ve already seen the benefit of adding cucumber to flat tummy water recipes. Mint will also help your tummy look slimmer. Researchers from the University of Maryland reported that mint relaxes the stomach muscles and combats bloating, excessive gas, and improves the digestive system. Many of the health benefits of raw, unprocessed apple cider vinegar are due to its levels of acetic acid. The Journal of Agricultural Food Chemistry reported that acetic acid prevents accumulation of body fat by boosting the function of the liver.12 Other studies have shown that the acetic acid levels in vinegar help to increase the feeling of fullness and can help a person eat less. The easiest way to boost your weight-loss program with apple cider vinegar is to drink apple cider vinegar diluted in water daily. You should mix 1-2 tablespoons apple cider vinegar to a glass of water and drink first thing in the morning. If the taste is too acidic, you can add some raw honey as a natural sweetener. Doctors from WebMD reported on a study using cayenne pepper for weight loss. Researchers found that by adding red cayenne pepper to meals or drinks, people burned more calories per hour. The study also found that cayenne pepper decreased hunger pangs. The Journal of Medicinal Food reported that grapefruit helps improve metabolism and balance blood sugar levels. The research found that eating half a grapefruit or drinking its juice 30 minutes before a meal resulted in greater weight loss than not consuming the grapefruit. The researchers concluded that grapefruit should be included in a weight reduction diet.